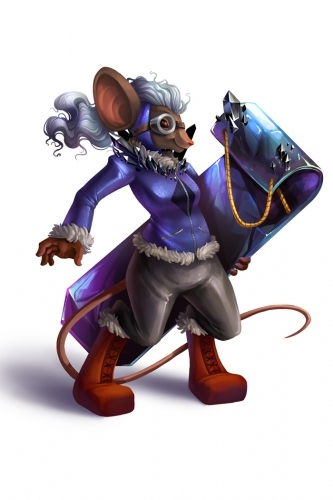 The Black Diamond Racer Mouse is an Event Mouse found during the annual Great Winter Hunt event. Looks like you've spent a lot of time building up a toboggan just to eat my dust! Information on how to locate and capture the Black Diamond Racer Mouse can be found on the current Great Winter Hunt location page. Attraction: This mouse does not consume cheese or charms and is caught as a Bonus Hunt when winning Black Diamond courses. During the Extreme Toboggan Challenge, the Black Diamond Racer Mouse was caught as a Bonus Hunt and did not consume cheese or charms. 13 December 2016: The points/gold for Black Diamond Racer Mouse were changed.